2007 mare by Chin Chin out of a Lupicor mare. She was purchased in the Netherlands at an elite foal auction and immediately imported as a foal by Claybrook Farms. 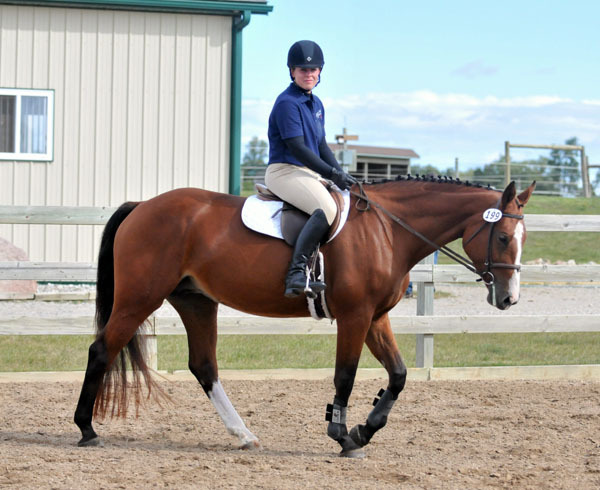 In 2012 Dutch Warmblood Keuring, Chiki earned her Keur status with a very high score of 80 in her IBOP riding test. 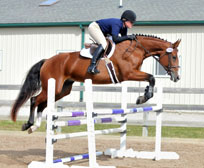 She ranked number two in her IBOP class among all mares in North America. 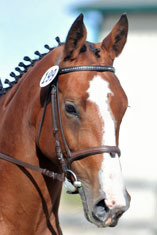 In 2010 she was also ranked as the number two mare in North America in her ster Keuring. She has produced only one foal to-date. She has a very modern, rectangular conformation. 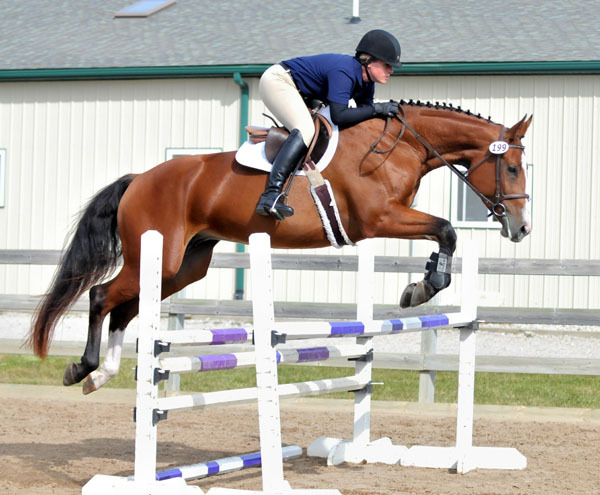 She has lovely gaits and excellent jumping ability. She is very quick and has very adjustable gaits and good vision of the jumps. We look for Chiki to produce some exceptional foals. Her sire Chin Chin has a jumping index of 149, one of the top 25 KWPN jumping stallions. Her dam sire Lupicor, has a jumping index of 129.